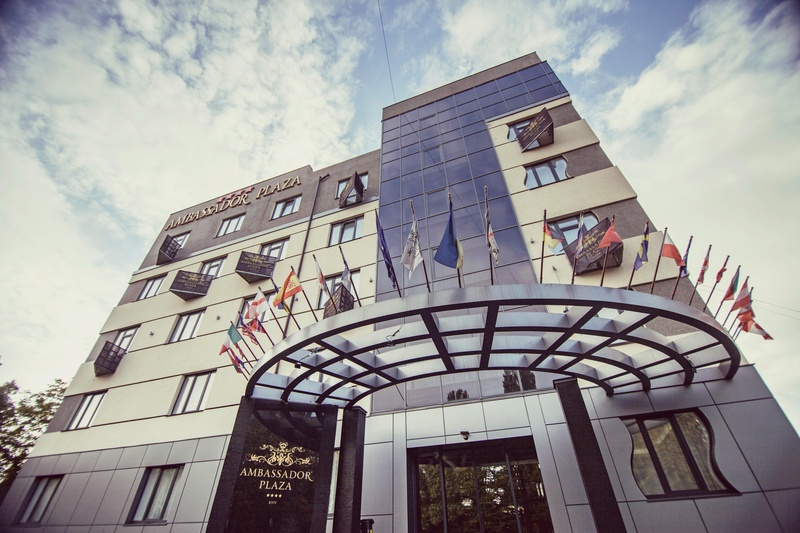 Ambassador Hotel Plaza - ideal if you need to choose a cheap hotel in Kiev, located near the exhibition center KyivExpoPlaza, a 7-minute drive from the metro station "Nivki". It offers comfortable rooms category Standard, Junior Suite and Suite. The interior has a modern style. The package includes: TV (satellite), air conditioning, mini-bar, telephone, hair dryer. All rooms with private facilities - shower, toilet. 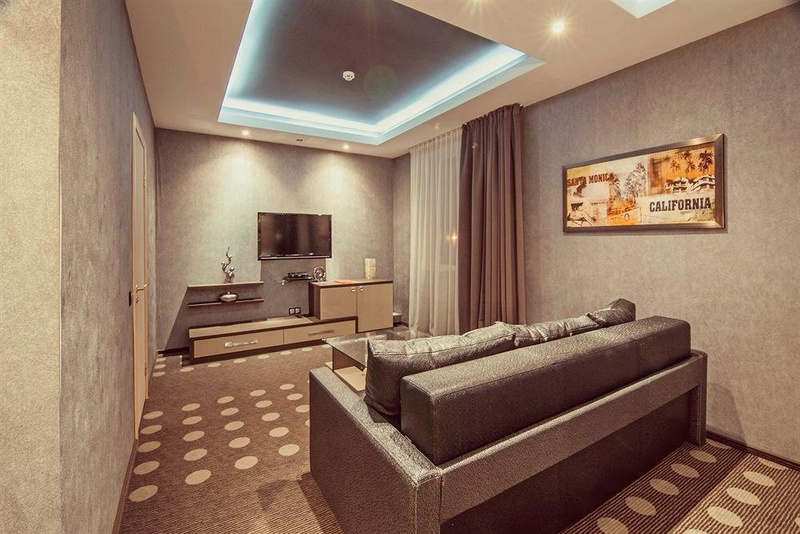 Deluxe rooms additionally equipped with a DVD-player, a sofa, a bidet. 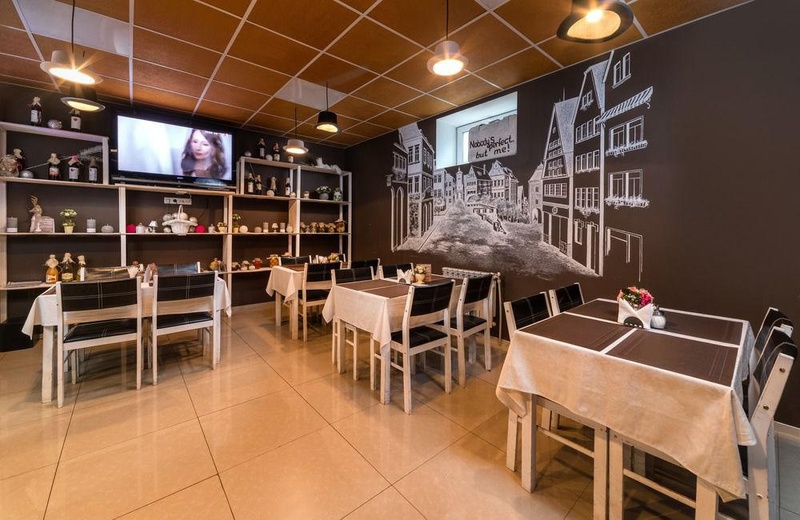 The hotel has a restaurant that serves dishes of national and European cuisine, as well as a conference room accommodating up to 100 people and a meeting room accommodating up to 20 people. Close to tram station. Noisy road. Awful location. Very good city hotel. Close to public transportation. Great room. Awesome vibe. Good staff. Helpful reception ladies. Friendly service. Toilet paper and enough. Comfy chairs. Proper double. Terrible breakfast. Good breakfasts. Good breakfast. Fast Wi-Fi. Fast wifi. Weak wifi.